Ann (Mrs. Chuck) Liebe, age 79, of Milbank died on March 4, 2018, in Tempe, Arizona. A Celebration of Life Service will be held on Saturday, April 7, at 2:00 p.m. at Living Word Lutheran Church in Milbank. Rev. Kent Groethe will officiate. Burial will be at a later date. Visitation will be held one hour prior to the service. Ann Mews was born on April 4, 1938, in Appleton, MN. She was the daughter of William and Anna (Mikkelson) Mews. 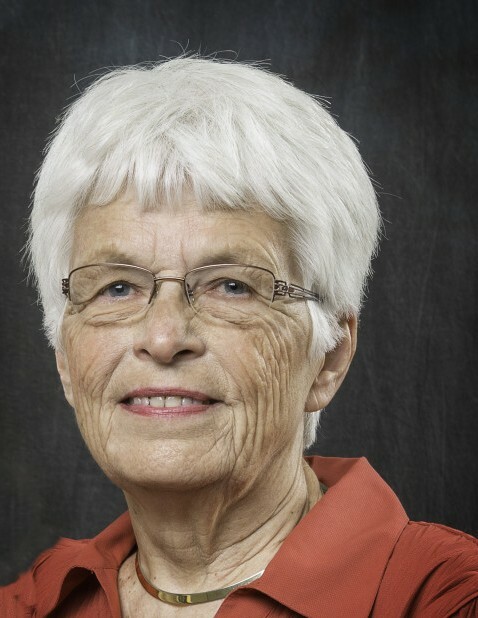 Ann attended grade school and two years of high school in Odessa, MN. She graduated from Bellingham High School in 1956. Ann worked one year at Milbank Mutual Insurance Company. She was united in marriage with Chuck Liebe on June 7, 1957. Ann and Chuck moved to Vermillion, SD where Ann completed one year of college. In 1958, they returned to Milbank to take over management of the family shoe business. In 1963, Ann assumed the management of the store while Chuck was on the road in Colorado and Nebraska for a major shoe manufacturer. Ann continued to manage the store in Milbank until the stores grew and needed her to do the finances at home, while caring for their three children. In 1985, Ann and Chuck began selling their 14 stores that they operated in Wisconsin, Minnesota, and South Dakota. Ann and Chuck began their next endeavor of real estate. Ann became a real estate broker. She sold property as well as operating the office and the closing end of the business. Ann retired completely from the business in 2001. Ann enjoyed her three grandchildren. She loved to garden, quilt, and golf. She was a member of Living Word Lutheran Church and sang in the church choir. She and Chuck enjoyed traveling south for the winters. They enjoyed motorhome outings in the summer with the Rambling Pheasants Club. Cherishing her memory are her husband, Chuck of Milbank, SD; her children: Jeffery (Tammy) of Tolleson, Arizona; Jon Liebe of Milbank, SD; and Susan (Kent) Sime of Milbank, SD; three grandchildren: Christopher Liebe, Cailey Sime, and Brock Sime; as well as many nieces and nephews. She was preceded in death by her parents; three brothers: William, Victor and Daniel Mews; and one sister, Naomi Homan. In lieu of flowers, the family would prefer memorial be given to Living Word Lutheran Church, choir, quilters, or the youth Sunday School program.